Image 1. 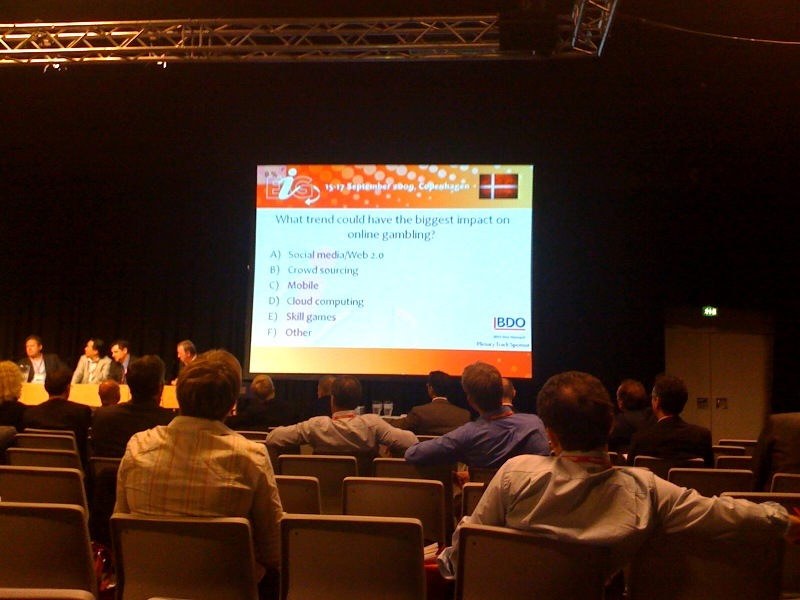 EIG Expo, Copenhagen. The CEO Panel discussion was very interesting to listen to. B2B business will be more important and many on the panel see that media companies will go into online gaming to increase revenues and especially 888.com (with Dragonfish) and PartyGaming work hard with B2B. bwin have put a lot of effort into brand recognition and will start focus more on conversion. I believe that retaining players will be very important but also attracting players using social media and getting to know your players to be able to know how to give them the best gaming experience possible.